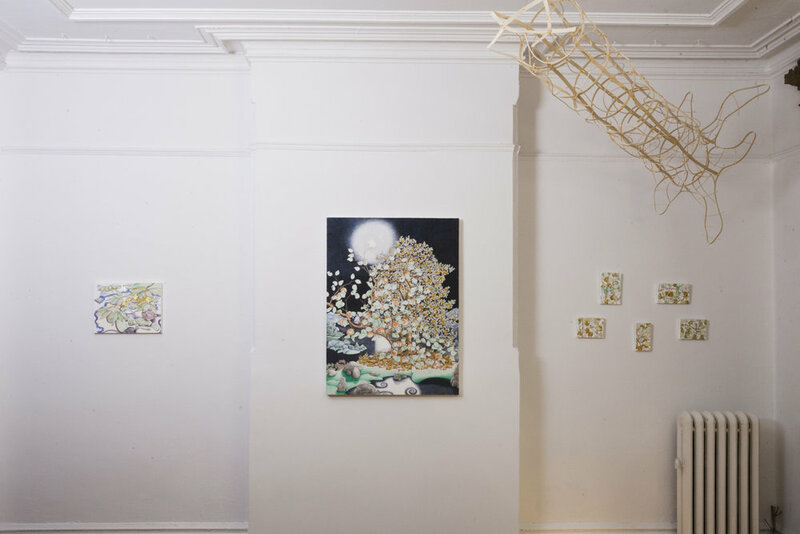 Michael Eade: Realms of the Soil installation view. Photograph by Eugene Neduv. © 2017 Michael Eade, courtesy Fou Gallery. 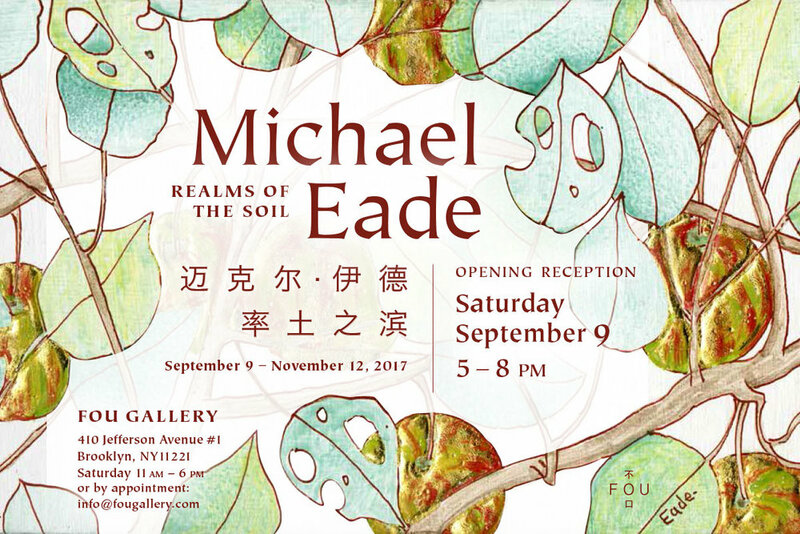 New York - Fou Gallery is pleased to announce that the new exhibition Michael Eade: Realms of the Soil will be on view from September 9 to November 12 , 2017. The gallery will present more than ten pieces of egg tempera paintings and watercolors from Michael Eade’s recent series “The Wild Fruit Forest - Tree of Life” and “Nurse Log.” In this exhibition, Eade will also create a site-specific nurse log that interacts with the architectural elements of Fou Gallery’s brownstone space and a series of ceramic Nurse Log sculptures in collaboration with Eric Dolgins. The opening reception of the exhibition will be held on Saturday, September 9 from 5–8 pm. In 2010, Eade began a body of work depicting his vision of the ancient fruit forests in the western Tian Shan mountains, at the border of Kyrgyzstan, Kazakhstan and China. This area is the genetic origin to over 300 wild fruit and nut species on our planet, including the apple, pear, plum and cherry to name a few. However, because of the encroachment of mankind, the break-up of the Soviet Union and lack of local financial resources, 90 percent of those fruit and nut forests have been destroyed in the past 50 years. Learning all this inspired Eade to visually eulogize this botanical Eden, into which he also incorporates in his iconic “Tree of Life”. The large-scale The Wild Apple Forest (2012) depicts a waterfront apple forest with twisted roots and branches that grow profusely outside the frame. His “Tree of Life” is centered on an island precipice. Eade composes directly onto each painting without pre-drawing and allows the forms to grow naturally through intuition and patience. Eade is different from traditional egg tempera painters, as he intentionally utilizes the negative space of the gesso ground to transform the white into positive and ornamental forms, which creates a utopia separate from reality. Meanwhile, following traditional gothic altar paintings, Eade raises and gilds his apples with 22k and 23k gold leaf. A golden apple is both an implication of Eden and has been pan-culturally depicted in many world mythologies. Eade purposefully creates landscapes based on real world places that are often associated with mythologies. Drawing inspiration from Eastern and Western art, botanical illustrations, collected objects and iPhone photos of real plants taken by Eade and his friends, Eade transforms his landscapes into his version of a “Utopia”. Utopia is a homonym. In English it has come to mean a “delightful wonderland” or an “ideal society” - however ironically from its Greek etymological root it means “a non-existent place". Therefore, an ideal utopian world is actually a non-existent place. Similarly, Eade depicts landscapes that are also delicate, endangered and fleeting. Inspired by nature and the cycles of life, in 2016, Eade started a new series, the “Nurse Log”, by depicting fallen trees, which, as they decay, provide ecological harbor to seedlings. A fallen tree can feed surrounding plants and animals for several decades, and in doing so the nurse log becomes a completely self-circulating eco-system. In Eade’s work, the log is usually gilded in silver or gold, highlighting its metaphorical importance - a participant and a contributor in the life cycle. The “Nurse Log” and “Wild Fruit Forest - Tree of Life” series reflect Eade’s ongoing exploration of Botany. The circle of life is the Nature’s way to take and give back to the earth. Plants experience an endless circle of germination, growth, blossom, reproduction, death and renewal. On every little piece of land, circulation of birth, death, and rebirth happens everyday. In Eade’s world, everything is preserved in a perfect and tranquil moment. The scene inside is breathtaking, yet it is fragile and vulnerable; the latent conflict could be triggered at any moment; and the circulation of renewal and death is endless. 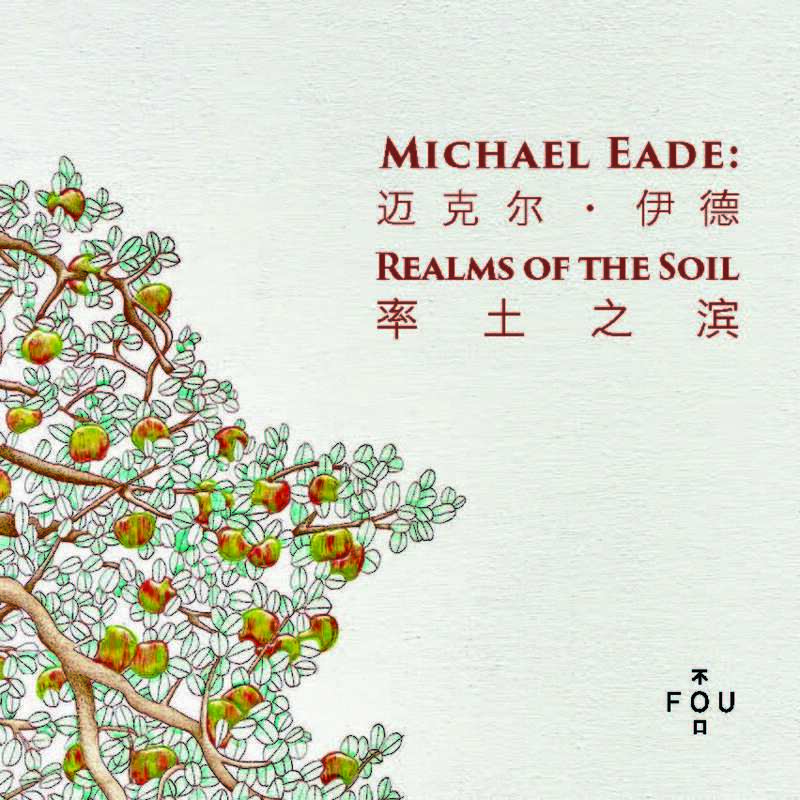 In this regard, Eade’s art world is like the Realms of the Soil. It comes from the earth and ultimately falls back to its root. *A self-published digital catalogue with an essay by Echo He will accompany the exhibition. Catalogue Design: Tianxing Wan; English Translation: Yan Yu. Available on Fou Gallery’s website. Design: Tianxing Wan; Essay: Echo He; Translation: Yan Yu, Eric Dolgins; Photograph: Eugene Neduv.